Enjoy exclusive benefits such as discounted hourly rates, free upgrades (when available), 24/7 concierge services, and free standard catering services. We also provide a personal travel consultant to make your trip as smooth as possible. Oakland Jet is the best place to charter a private flight. Enjoy exclusive savings combined with a global network of proficient, experienced travel consultants, aircraft and executive airports. You Deserve it! Travel in style on any of our 70+ aircrafts with first class amenities and world class customer care! When you fly through Oakland, you can depend on quality, comfort and safety. Oakland Jet has access to over 5,000 aircraft located all over the globe, and among them are over 70 aircraft types. From Light Jet to Ultra-Heavy, we have the aircraft to fit your needs! 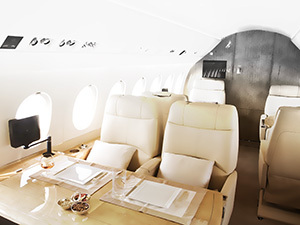 Have you chartered a jet before? Whatever your destination, our charter flights will exceed your expectations and surpass your best commercial flight options.